Description A modern four bedroom detached family home offering extended accommodation. The property has the benefit of gas fired central heating and sealed unit double glazing and has been rented out recently for the sum of £1,195 per calendar month. The current tenancy ends of the 18th February 2019, but shows that this would be an ideal "Buy to Let" proposition. The property also lends itself for owner occupation. Location Borage Road is situated off Jenny Field Drive in the much sought after Jenny Field area of the town. The area supports numerous facilities including David Lloyd Gym, The Hydro, supermarket, medical centre, primary school and numerous public open spaces including children's play parks. The town centre is only a short distance away and is well served by a good public transport system. 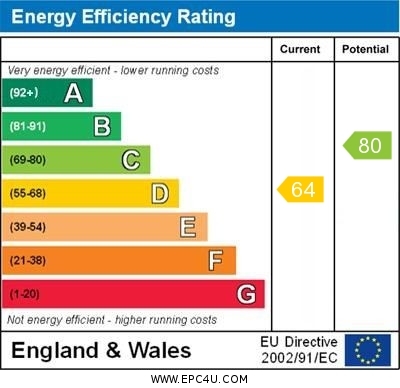 Energy Performance Certificate Grade D. Awaiting new EPC. Solicitors Fitzgerald Harts, Claro Chambers, Bridge Street, Boroughbridge, YO51 9LD. Tel 01423 322312 FAO: Matthew Brown.